The Bodleian Library is the main research library of the University of Oxford, and is one of the oldest libraries in Europe. With over 12 million items,it is the second-largest library in Britain after the British Library. Under the Legal Deposit Libraries Act 2003 it is one of six legal deposit libraries for works published in the United Kingdom and under Irish Law it is entitled to request a copy of each book published in the Republic of Ireland. 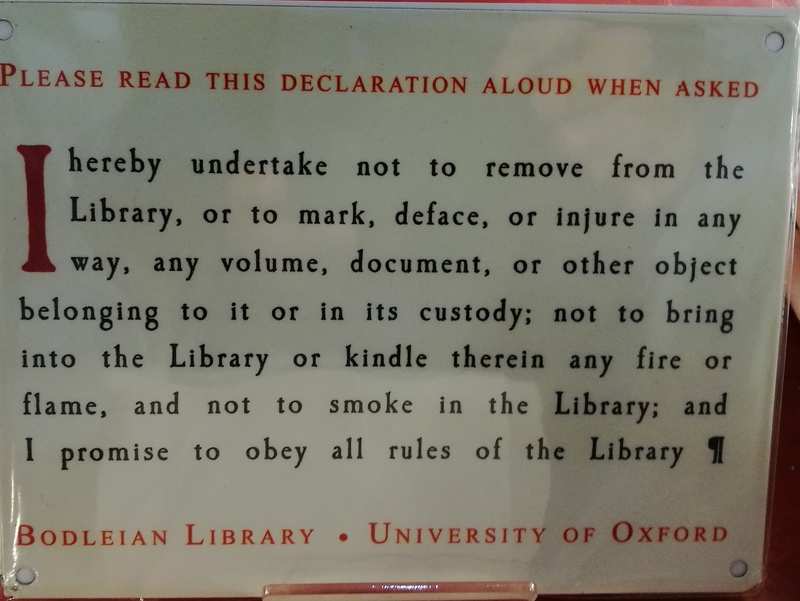 Known to Oxford scholars as "Bodley" or "the Bod", it operates principally as a reference library and, in general, documents may not be removed from the reading rooms. In 2000, a number of libraries within the University of Oxford were brought together for administrative purposes under the aegis of what was initially known as Oxford University Library Services (OULS), and since 2010 as the Bodleian Libraries, of which the Bodleian Library is the largest component. All colleges of the University of Oxford have their own libraries, which in a number of cases were established well before the foundation of the Bodleian, and all of which remain entirely independent of the Bodleian. They do, however, participate in OLIS (Oxford Libraries Information System), the Bodleian Libraries' online union catalogue. Much of the library's archives were digitized and put online for public access in 2015. The safe keeping of money and valuables posed obvious problems in the days before banks and strongrooms. 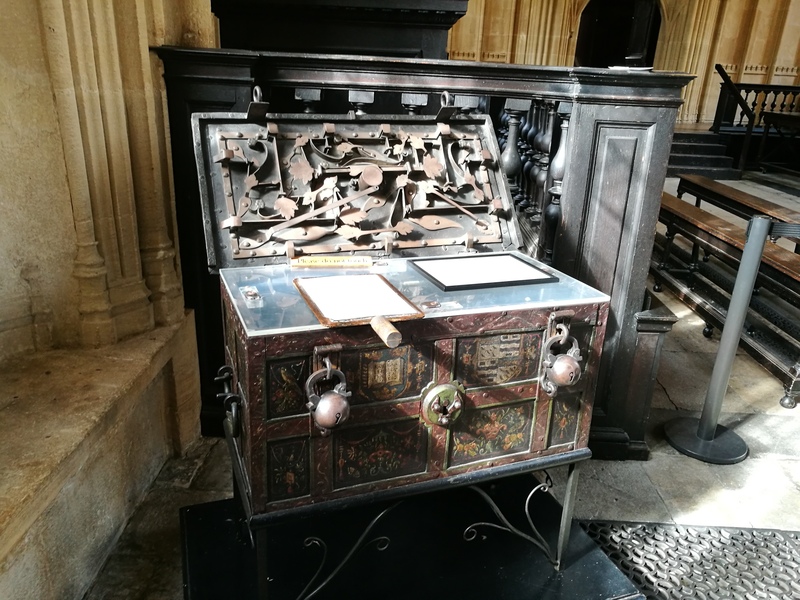 It was common during the Middle Ages to use a really heavy metal chest, difficult for thieves to carry off unnoticed/ and to fasten it with several locks, the various keys being held by different officials so no one key-holder could gain access.